Hosted by Double Door every fourth Saturday of the month, CumbiaSazo is part live music performance, part dance instruction, and part art exhibit, all dedicated to the musical styles of cumbia and tropical bass. Both genres—rooted in cross-cultural music traditions from South America, Africa, and Spain—continue to grow in popularity as they expand beyond mostly Latin American audiences. 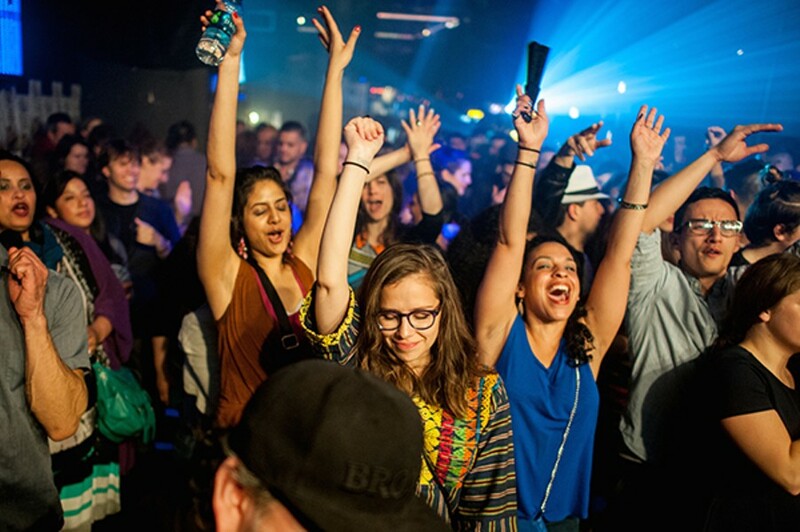 CumbiaSazo reflects cumbia's and tropical bass's reach in Chicago—while the event isn't new by a long shot (it's been around since 2011, practically unheard of in the nightlife world), it's recently become a fixture in the scene that caters to younger crowds. The organizers dig deep to pull the best local and national DJs, and have managed to book bands like Viento Callejero and La Comadre. Expect hot beats; good eats from a rotating and growing list of supper clubs, street-food vendors, and chefs; and additional activities that include cumbia dance lessons, tarot readings, and live painting.